1. What do you love most about trail life? Simplicity, solitude, nature, and being acceptably filthy. Making coffee in my tent every morning is by far my most favourite trail routine. 2. What is the best advice you could give another hiker, no matter newbie or long time backpacker? Hike as much as you can before your body falls to pieces. 3. Who is your secret (or not so secret) hero? 4. What is the best descision you made in life? All my best decisions are made when I go with my gut. Deciding to move to Vancouver in 2007 certainly set the stage for some pretty epic events and adventures to take place in my life. It also introduced me to a number of incredibly inspiring people. 5. What experience (hilarious, dangerous, totally weird or whatever) you made whilst hiking/travelling you’ll never ever forget? The moment I was sitting on a huge rock at the top of a cliff in Malta overlooking the Mediterranean Sea, when my mind suddenly cleared and I realised all I wanted to do was have everything I needed on my back and just wander. That’s where my PCT journey really begun on September 30, 2012. 6. If your life would be a book, what would the title be? Writing is incredibly therapeutic for me. If it inspires others to live out their dreams then even better! Probably driving a three-wheeled auto rickshaw across India in 2010. I wasn’t 100% sure I’d come out of that one in a single piece. 10. Do you have a favorite trail? A favorite landscape? Or do you love it all :cP ? My trail life has been short, but I’m not sure anything will ever beat the PCT. I have to say I loved the desert sections in Southern California minus the 50 odd miles between Walker Pass and Kennedy Meadows. Short term: To hike the Te Araroa in New Zealand or another long distance trail. Long term: To find myself a hiking partner! The people or blogs above were all introduced to me during or through the PCT in some way. I’m impressed by those who can write honestly, from the heart, unguarded, and can just be who they are! Cat would have been on this list and also Bobcat (HoboKitten), but he was also nominated by Cat. There’s so many more deserving folk out there and many who have inspired and continue to inspire me – but give it up for the 11 above on this occasion! 2. What’s your most memorable dream? 3. Do you believe in fate and/or destiny? 4. What makes you really happy? 5. What’s the kindest thing another human-being has ever done for you? 6. What’s the kindest thing you’ve done in return? 7. Where does fear prevent you from travelling to? 8. If you could have one super power, what would it be? 9. Who would you most wish to sit next to on a 14-hour flight? 10. How do you make the world a better place? 11. Other than love, complete the sentence: All we need is….? I look forward to seeing how these people discover this award (I think officially the awarder is meant to alert them via a comment on their blog, but I prefer a more organic approach!) and to read their responses! Thanks again Cat for handing me this opportunity and to those who continue to follow and support my writing and adventures! Good morning and thanks for the nomination! Coffee, yes! Hiking companion, yes please! I love the photo that you chose and your questions for your nominees, Rozanne. Can’t wait to look up some of their blogs and read their replies to you! Yes! Do the Te Araroa next! That’s one that I would love to do, but is probably one of the least realistic for me. I need a vicarious way to experience it! In all seriousness, it’s cool to see you get recognition from your fellow hikers and thanks for some new blog suggestions. Hike on Muk Muk! Rozanne, first we’re so glad to rediscover you. Guess we lost track after your PCT victory. You’ve been busy! Can’t thank you enough for this Lieber Award nomination. We’re truly honored and will certainly be thinking up some good answers to your provocative questions. We hope you are happy and healthy. All our best to you. Wow, Muk Muk, what a wonderful surprise to receive your Lieberman Award nomination! 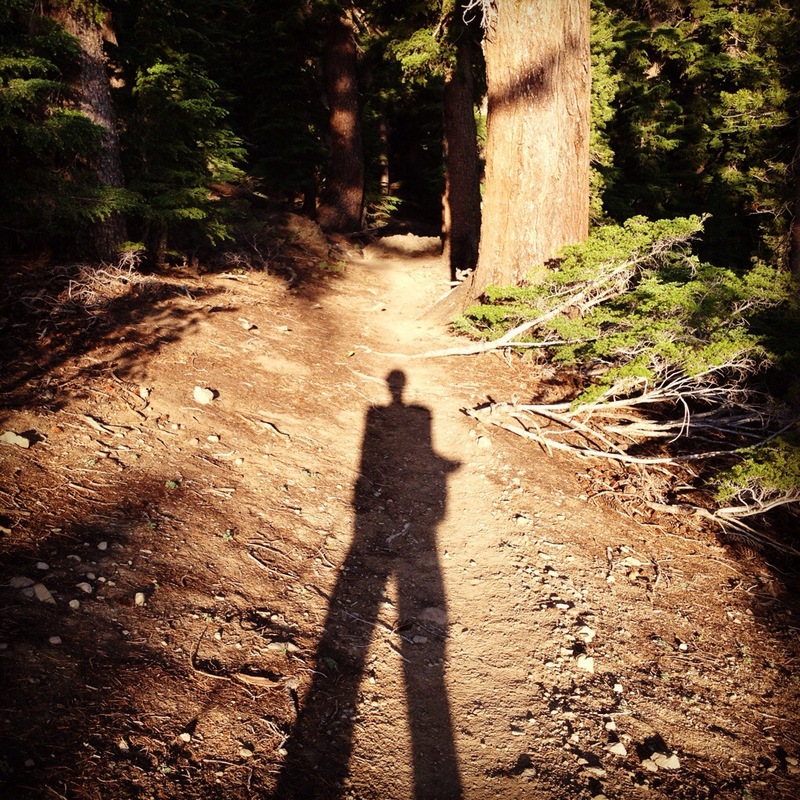 Now, you inspire me to find the time and learn how to blog….and some quiet time on the trail to think about it! I remember seeing you outside the Mazama Country Store after that big early season snow storm. When you came to the Roost I saw your self confidence and determination to trek on to Canada. It was my privilege to share with you my knowledge and love of the trail. I felt such joy when I saw that you made it to Canada safely! I am excited to follow your path as you explore the wonders of the world and share your adventures with children. You may never know who this has opened the doors to, for them to explore their own dreams. As you wonder many trails of the world you may find your mate, as I found my partner six years ago in a snowstorm in the Goat Rocks on the PCT! I too am thinking about hiking the New Zealand trail next year….wouldn’t that be amazing to run into each other on the TeAraroa! This is one of my favorite posts from you so far. The insight found in your answers to Cats questions are a nice peek “behind the curtain” of your mind. But even more interesting to me, are the 11 questions you posed to the others …. And if you only knew how precious I find my coffee…Part of our kindred spirit I think ! Again, congrates on the great shout outs and I look forward to checking out these awesome folks myself.